OUTSTANDING FEATURES: 1. Made from superior aluminum alloy material. Available all the year round with good performance.If a good quality is the must, these are the ones you are looking for. 2. Sturdy and waterproof design, not afraid to get wet. 3. Bright colors easily attract eyes and quick to search. 4. Rose was rescued because she got a servial whistle in Titanic. 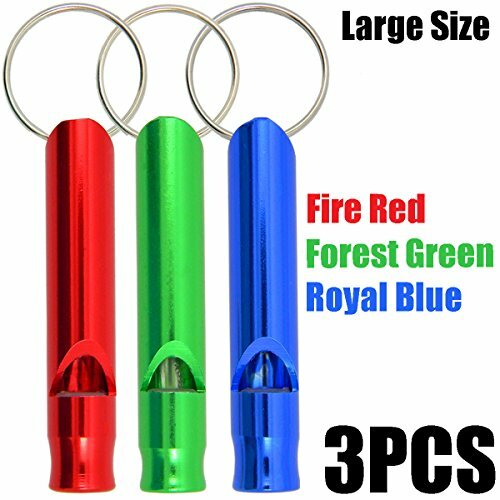 these servial whistle will be a must addition to your pack and provides peace of mind if things go wrong. 5. If you are still hesitating what little gift for your outdoor sports hobby friends, these will be the best choice. Practical and beautiful at one step. Note: Please kindly aware of all Shells Patent item should with a special package,Shells Group will not responsible for any bad quality items that you buy from other sellers.